Looking for some beautiful hand made Christmas cards to send out this year? Well look no further! Wonting as a beautiful selection of gocco printed cards. 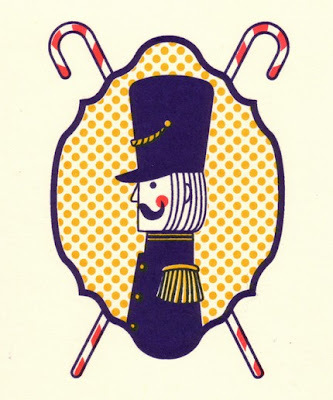 Lieutenant Cane set of three holiday cards. USD $8 / €5.40 / £3.90. Wonting says 'each card has been hand-pressed with gocco 4 times (front image twice, back, and inside greeting). The result is amazing, the navy blue, warm red and yellow really sit well on the beautiful French paper. Each card is a piece of art and is as collectible as my art prints, and will be hand signed on the front of the card.' Only 16 sets are available so hurry! Go to Wonting's Etsy shop now. 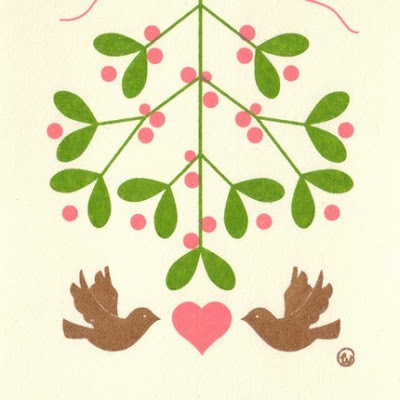 Lovely Dovely holiday cards. Set of 3 cards, USD $8 / €5.40 / £3.90. 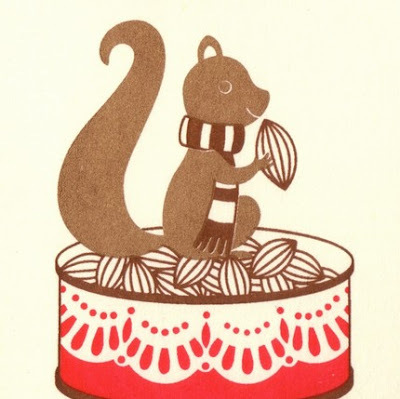 Nutty Friend holiday cards. Set of 3 cards, USD $8 / €5.40 / £3.90. 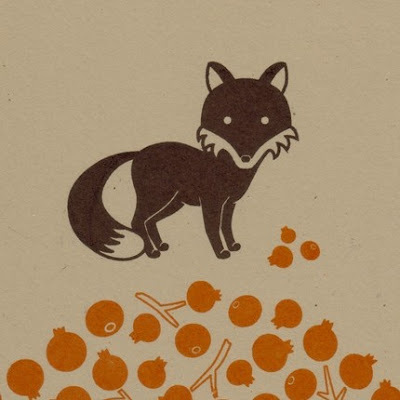 Foxberries print. Limited edition of 50 prints, each print signed and numbered. USD $18 / €12.20 / £8.70. Also, check out Wonting's blog here.